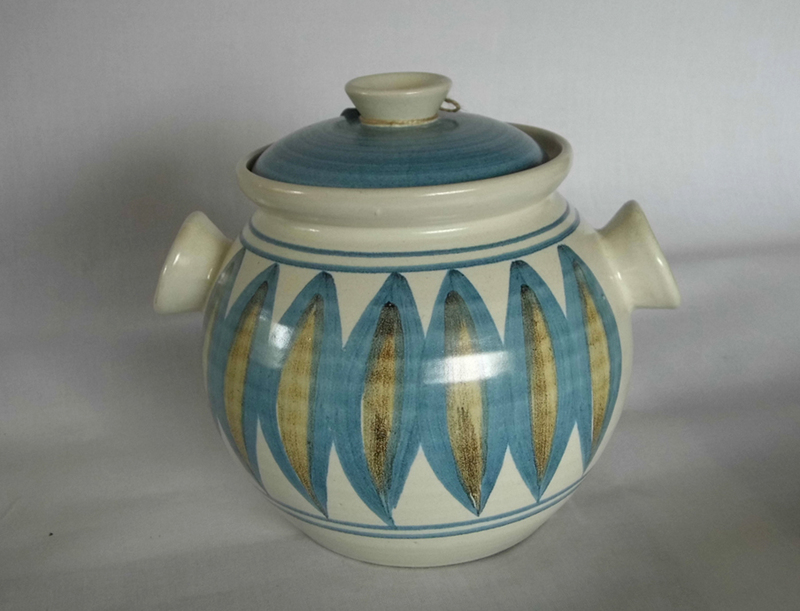 Classic studio pottery casserole dish with lid, from Hanmer Potteries. 270 x 180mm tall -plus lid. I have a collection of these vintage casserole containers that I use for storage in my studio. They look very cool on the shelves.